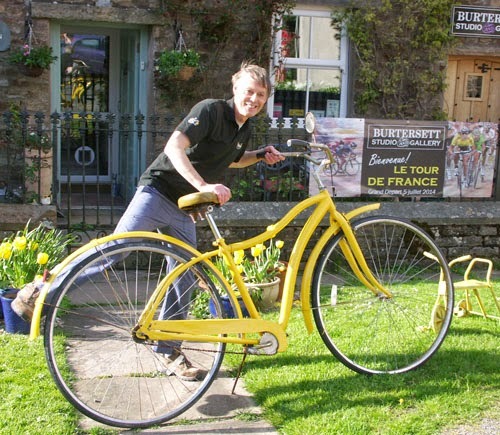 A warm welcome awaits cycling fans if they are in the Dales for the Tour de France Grand Depart in early July. 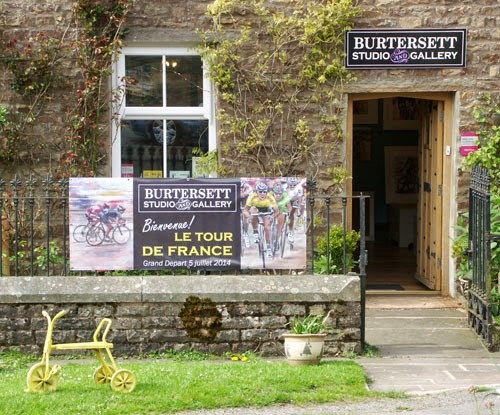 The Burtersett Gallery will be open afternoons from the beginning of June. Cycling technology has moved forward since this model was introduced. Solid rubber tyres and front brake only!